Very interesting, does it record to SD cards? 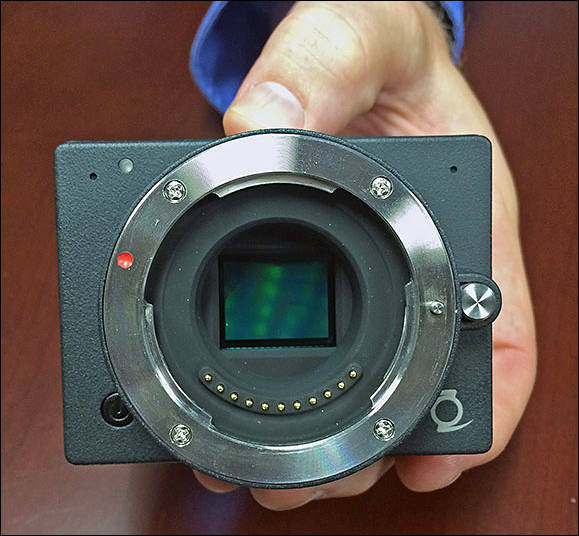 Seems very similiar to BlackMagic Micro Cinema Camera. I would love to have it on a drone.. Any idea of the reputation of this manufactor? Would love to try one. So what is the $$$$$?????? Blackmagic micro with larger sensor, more iso. lets see how much it costs. I've contacted them for more information and it's very intriguing in the paper. By now one thing is very exciting for some personal-view users (like me) that miss that days when our friend Vitaly released some amazing firmwares for our gh2. 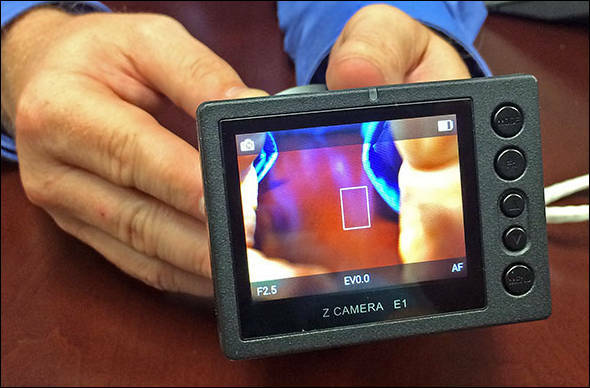 Is the Z E1 4k micro camera the “goPro” you’ve been waiting for? I think this sensor works only with Panasonic LSI. So, this will be actually be Panasonic camera without some firmware parts (as this guys are unable to write OS/processing). I think this sensor works only with Panasonic LSI. It says they use an Ambarella A9. Yes, using Ambarella is very unusual. We did not see any m43 Panasonic sensor yet used with something that is non Panasonic. I am not sure that Panasonic supply the processing libraries not for their MN LSI. I think it's very intriguing. I don't know how they claim that's an open platform camera. But it would be amazing being able to tweak this firmware. Plus... I guess you could fit a BMPCC Speedbooster inside this camera (making it a 1.4x crop). I'm very excited to see real tests. More probably they will have an open API, like the Olympus Air camera - you can access only predetermined functions. I guess that no manufacturer will ever oficially support firmware modification fearing lawsuits if the camera melts down. Most interesting is to understand who this guys are, as we already saw in Digital Bolex case where they had been forced to hire real experienced engineers. But they had outside investment (as all backers money had been gone at this moment). 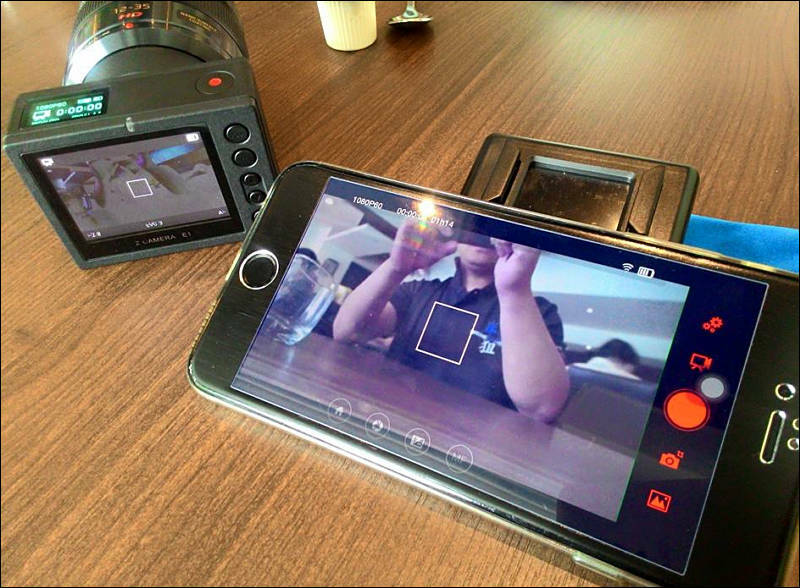 Is there any software/processing reason for a camera/sensor like this not to be built directly into a tablet form-factor and SoC (processing or help on it, IPS screens, editing, collaborating, sharing, etc.)? It's been obvious for me since some years ago and I still don't get why it isn't happening when the mobile supply-chain, as this camera makes evident, allows it. Wi-Fi and Bluetooth just doesn't cut it when we're talking about real video and the myriad of ways we could handle it when filming. And of course, this would eliminate the need for external recorders and monitors. I understand this would be a different use-case scenario as you couldn't attach it to drones or similar; my use-case is wider than that one. Maybe I just should wait for Project Ara to get steam? Or maybe Apple magically getting to DSLR quality on the iOS platform? I don't know. Is the camera open to developers? Yes, we open SDK to 3rd party to explore the better use case of the camera. We listen to the request via forum. Is this camera totally designed by your team in China? Tell us more about the technique inside. Yes, we do. We have all the technical design in house. No out sourcing, no 3rd party for software and hardware. Where you got this text? Interesting thing isn't, Vitaly? 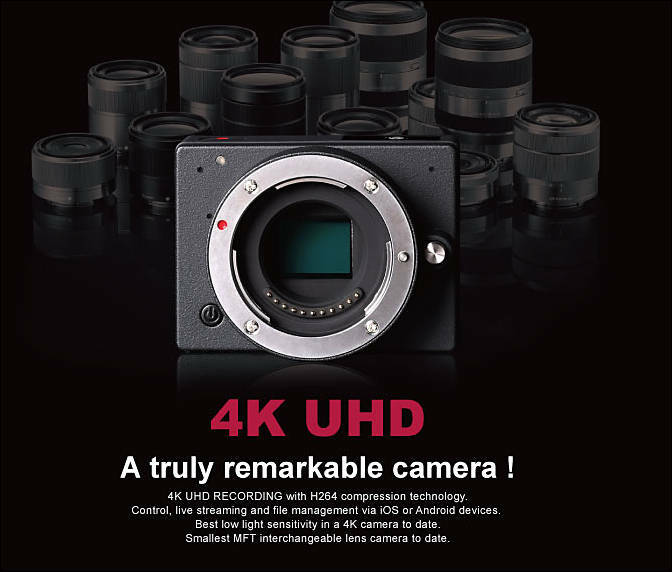 But i've read that this camera can't output 4k via hdmi only 1080... it's a bummer... Besides that, i still think it could be a great tool with the proper tweaks to improve the codec. I asked them for a de-squeeze mode in the app for anamorphic purposes.